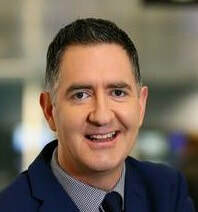 ​​Cormac O'hEadhra is an award-winning Radio Broadcaster with RTÉ. He currently presents Saturday with Cormac O'hEadhra on RTÉ Radio One. ​Hailing from Connemara in the west of Ireland and raised bilingually, Cormac presents an award-winning show on RTÉ Radió na Gaeltachta called Cormac ag a Cúig. The show is a drivetime current affairs and sports programme focusing on national and international news, with weekly business slots, entertainment updates and panel discussions, all through Irish. In addition to his show on RTÉ Radió na Gaeltachta, Cormac has presented Drivetime, Today, This Week and The Late Debate. He also sat in the hot seat on the Sean O’Rourke Show.